New Website Alert! 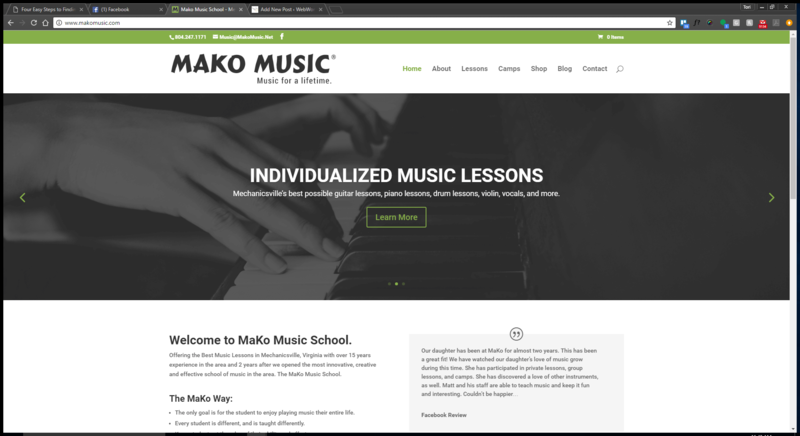 Mako Music in Mechanicsville - WebWorx, Inc.
We are so excited to be able to provide such a great local business, Mako Music, a renovated website for their students and staff. Take a look and see what those awesome kids are doing there, including TWO of my own!! We love supporting small businesses. Contact us today to see how we can help you transform your outdated website into something you can really be proud of! !